It was a cloudy, overcast Saturday morning. A late night of Netflix (Dexter and Glee, of course) had left me sleepy and blah. But wait, what’s that? There is a Boston Brunchers brunch today?! 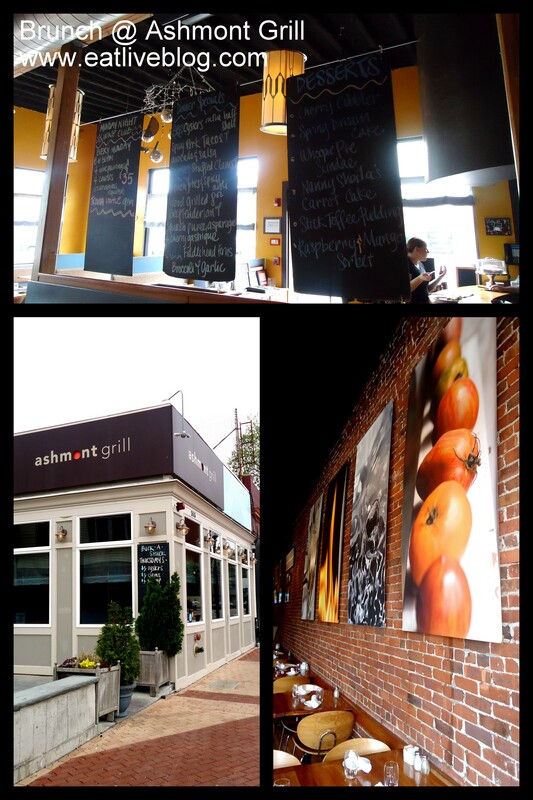 I finally get to try the much talked about Ashmont Grill?! Well now I am awake and the sun is shining and the birds are chirping (at least in my head). I get myself together and desperately try to get my mind off the fact that I won’t have my first cup of coffee until I arrive at brunch at 10:30am. Flash forward…. I arrive at brunch and half of our group is already there. Unfortunately we do not get to sit on the lovely outdoor patio since the sunshining and birds chirping were only in my head, and in actuality the Boston weather was still pretty crappy. 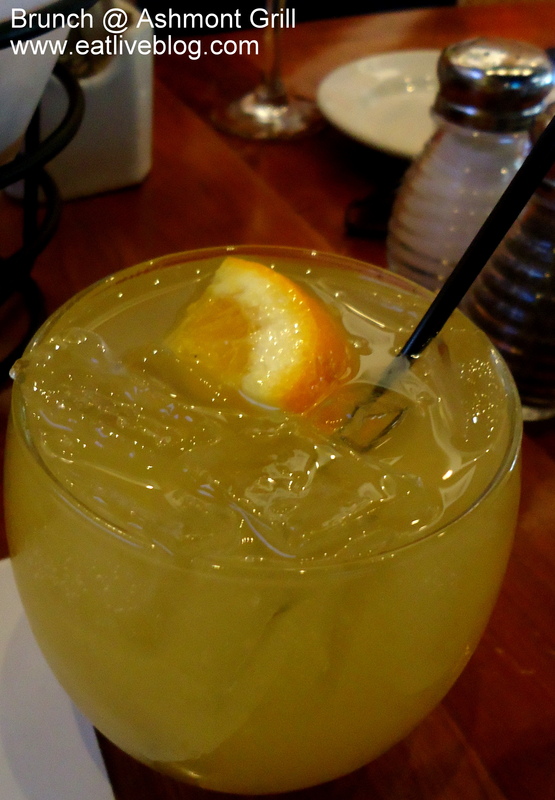 Our waitress does a great job of selling me on the Midnight Mimosa, which was just like a regular mimosa, but amped up, and delicious! 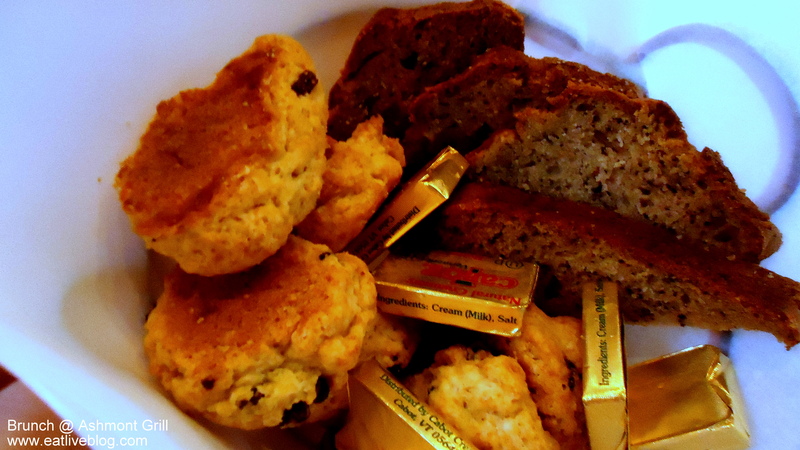 I continued to gulp down my coffee, sip my mimosa and nibbled on the basket of banana bread and AMAZING bite sized scones that was on the table waiting for us. I mean, these things were great! They had just a kick of sweetness, so they were the perfect first bite of the morning. Next, the big decisions were made. What to eat for the main course. I once again turned to my trustee guide Veronica, and she once again steered me in the right direction. This time it was towards the chilequiles. 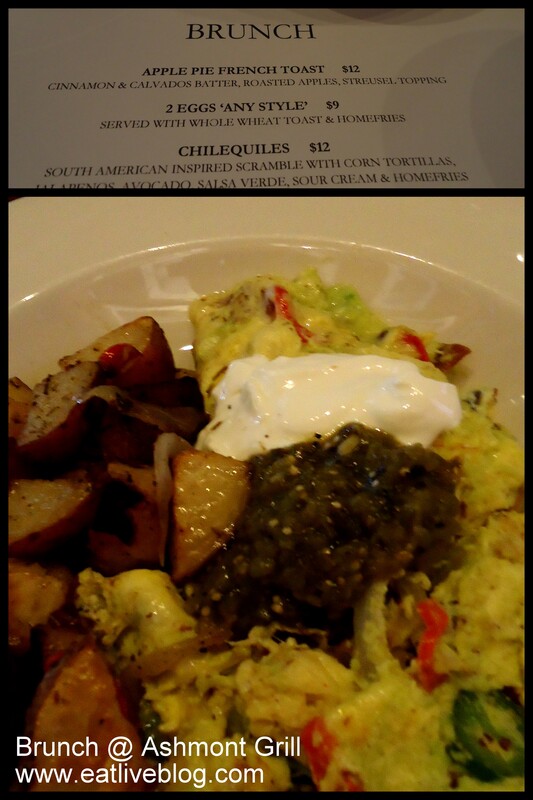 A mexican scramble with green salsa, avocado, tortilla strips, jalapeno & red peppers. Well you know me, once I hear that there may be a little spice, I am sold! Let me say here, the service at Ashmont was A+. Veronica managed our table of 15 food bloggers with a sense of humor and a smile. All of our food came out hot and well prepared at the same time, and I never hit the bottom of my coffee cup. Good, good and good! The menu was creative, and the options were extremely varied, so there was (excuse the cliché) something for everyone. And the best part, since we were brunching with a group of food bloggers, everyone likes to share! I was able to taste Katy’s Trainwreck Omelet, Julio’s Apple Pie French Toast, Coco’s smoked salmon and I caught a picture of Jen’s benedict! 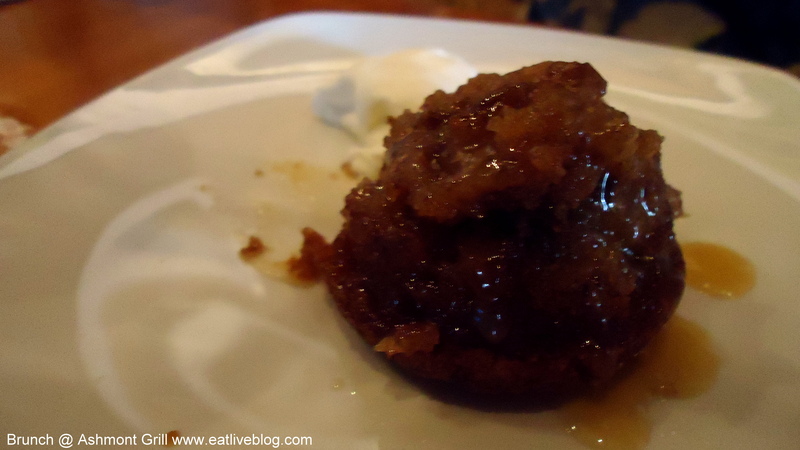 Our brunch concluded with a gift from the chef, a delicious serving of gooey, warm, tender, bursting with flavor, Sticky Toffee Pudding. Just when I thought I couldn’t eat one more bite. Yeah, I polished it off. 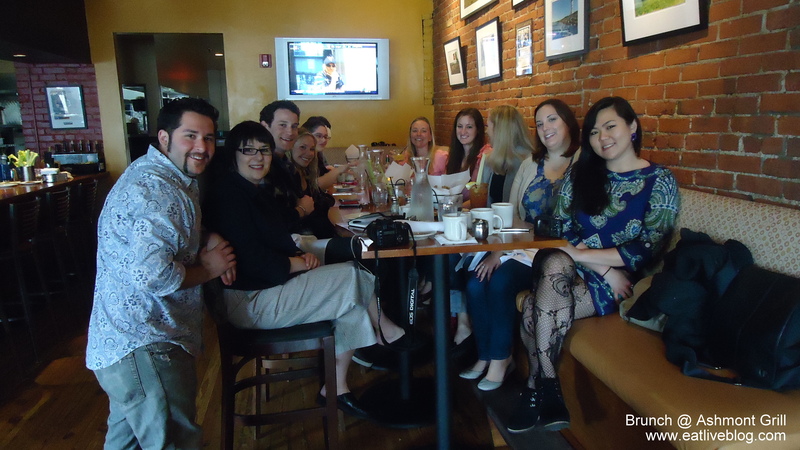 Saturday’s brunch was especially great because I got to meet so many faces I have been tweeting with forever, and got to see some old brunch friends who I always thoroughly enjoy! I declare brunch at Ashmont Grill a success! It is a little bit of a haul for me to get there, but if you are T-bound, it is literally right across the street from the Ashmont stop on the redline. It doesn’t get more convenient than that! MMM….righting this review made me hungry all over again! 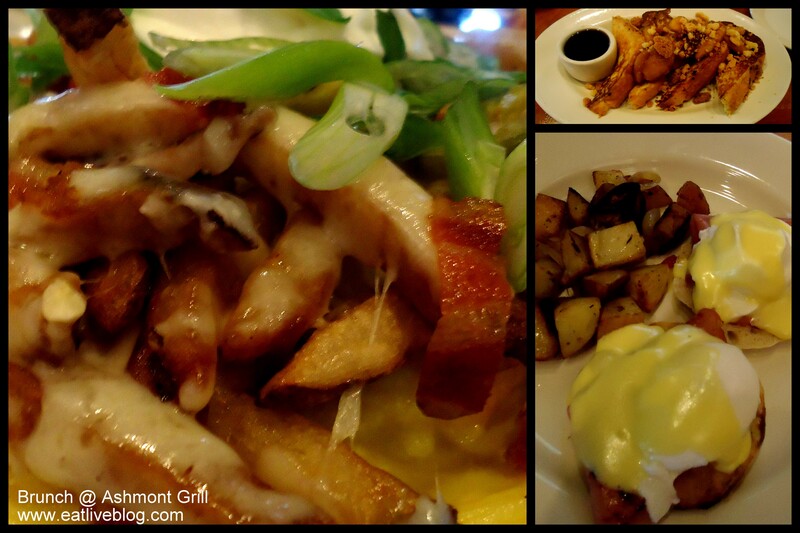 This entry was posted in Reviews and tagged ashmont grill, boston, Brunch, dorchester, restaurant, review by reneeh. Bookmark the permalink. You were definitely missed! But I am sure we will see you again soon! PS- DO try and make it here for the brunch. It really was all that! I was finishing up the last moments of our stay-cation on Sunday so I couldn’t make the brunch. But it looks like you guys had a great time! ah i forgot to mention the bread! it was very tasty. Oh this sounds like a fabulous brunch. 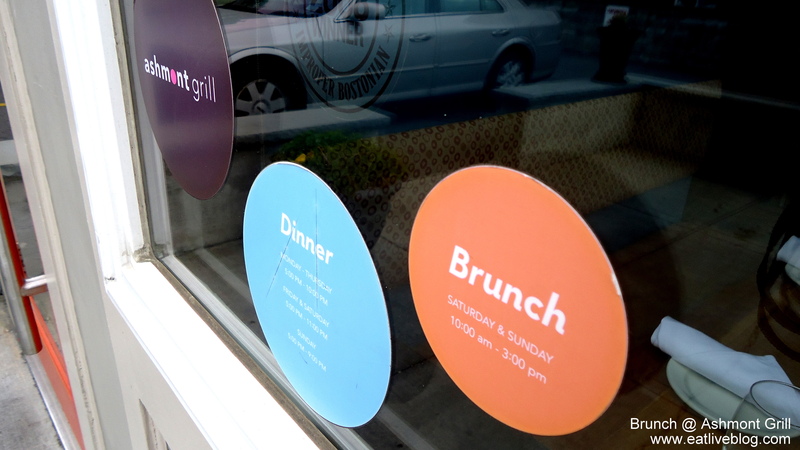 Ashmont Grill has been on my list of restaurants to check out for a long time… now I have to add getting there for brunch in addition to dinner to my list. It sounds like you had such a wonderful time. I’m so sorry that I didn’t get to make it!